Our ready-made play set is just the thing to help your morning off to a smooth start. The print and appliqué options spoil you for choice with curious animals. 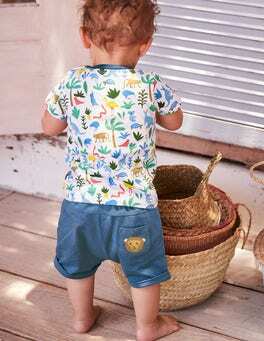 Adjustable drawcords and waistbands mean your little one can explore in comfort.